In its early days, the Internet was idealized as an infrastructure where control is dispersed, and access and use are optimized. The advanced communications network promoted connectivity, information flow, and innovation. Indeed, in many ways, the Internet brought us closer to some economists’ notions of perfect competition, with lower prices, greater choice, lower transaction costs, and better-informed market participants. The overwhelming abundance of information called for efficient filtering systems to match one’s desires with the market offerings. After all, the theoretical benefit of endless choice serves for little in the real world. As the economist Herbert Simon eloquently said: “A wealth of information creates a poverty of attention.” And so, the online environment has seen the growth of filters, data pools, and analytical tools aimed at optimizing our use of the Internet. Economies of scale and traditional and data-driven network effects have characterized the evolution of the online system and led to the rise of key online gatekeepers. While such a dynamic is welcomed when it delivers greater efficiencies, innovation, and quality, reality has not always been as impressive. With size and power came the inevitable distortions, as leading platforms and data-opolies take advantage of their privileged position to control the flow of information and data and favor their own related operations. The once decentralized market still retains its charm, but behind the façade one may identify eDistortions that risk undermining some of the benefits the online world is expected to deliver. To illustrate, consider the following four examples. The first notable eDistortion concerns quality degradation. In a competitive market one would expect providers to compete on price, service, and quality. And yet, leading platforms that offer users limited outside options or impose high switching costs often engage in degradation of quality. One example, which we explored elsewhere, is degradation of search.1)Stucke and Ezrachi, “When Competition Fails to Optimise Quality: A Look at Search Engines”  18 Yale Journal of Law and Technology 70. Another one concerns privacy protection, which is increasingly accepted as a potential parameter of non-price competition. Leading platforms can depress privacy protection below competitive levels and collect personal data above competitive levels. In heavily concentrated markets, personal data is concentrated in a few firms. Consumers have limited outside options that offer better privacy protection. The collection of too much personal data can be the equivalent of paying an excessive price, but one may question whether it should be viewed as a reward for winning the competitive process. A second eDistortion concerns wealth transfers to data-opolies. Increasingly one may identify the use of technology and asymmetric information to exploit consumers. Even when products and services are ostensibly “free,” data-opolies can extract significant wealth from users on several levels, by getting personal data without having to pay for the data’s fair market value, by getting creative content from users for free, or by using data as means to engage in discriminatory pricing and behavioral discrimination. Data-opolies can also extract wealth from input providers and suppliers upstream. One example is when data-opolies scrape valuable content from photographers, authors, musicians, and other websites and post it on their own website. A third eDistortion relates to costs on third parties. Those in control of a key platform (such as a mobile phone operating system, leading search engine, or leading online platform) can engage in cheap exclusion. This may include steering users and advertisers to the provider’s own products and services to the detriment of rival sellers on its platform (and contrary to consumers’ wishes); degrading the independent app’s functionality; or reducing traffic to the independent app by making it harder to find on its search engine or app store. Data-opolies can also impose costs on companies seeking to protect our privacy interests. One example, which our book Virtual Competition discusses, was Google kicking the privacy app Disconnect out of its Android app store. The fourth example concerns the rise of negative innovation. Here data-opolies innovate, but in ways that work against the interests of consumers and markets, such as exploitative techniques to increase users’ engagement with their platforms or exclusionary elements. eDistortions may lead to such innovation being more prominent. As the market dynamic changes, one may argue that the level of investment in innovation, which is often the focal point of yearly analysis, should be considered alongside a more refined prism that considers the beneficial or harmful nature of innovation. First, the super-platforms’ control over the interface and users’ behavioral biases have drifted us further from an undistorted landscape. The gatekeeper can often influence what one sees and clicks. Second, vertically integrated super-platforms can advance their own interests even when it harms users and competition. And so these eDistortions emerge in a seemingly competitive and neutral environment where users may still believe they are sovereign. The eDistortions are made possible by users’ increased reliance on a handful of favorite interfaces and those interfaces’ ability to shape the online environment, identify changes in purchasing behavior and changes in taste, and track users’ presence online. Third, eDistortions may result in a deadweight welfare loss. Two examples are when privacy degradation increases distrust or when consumers become aware of super-platforms distorting the results to favor their own operation. The abuse of asymmetric information once exposed may lead users to forego transactions they would have made in a competitive market. The potential harms from data-opolies can exceed those of earlier monopolies. They can affect not only our wallets but our privacy, autonomy, democracy, and well-being. One should therefore think hard before resorting to the familiar mantra that antitrust can often do more harm than good, as markets do a better job self-correcting. From an antitrust enforcement perspective, several challenges emerge: First, should eDistortions be viewed as harmful? Antitrust’s price-centric approach has led some to suggest that there is no case for monopolization where services are free. 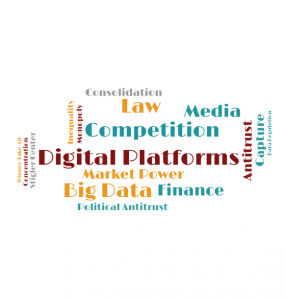 Second, are eDistortions a problem that competition law can remedy? Or should other legal avenues address them? Third, if competition law can target eDistortions, can it do so predictably, quickly, and accurately with its current tools? These questions go to the heart of antitrust policy, to our understanding of its social aims and its role in society. 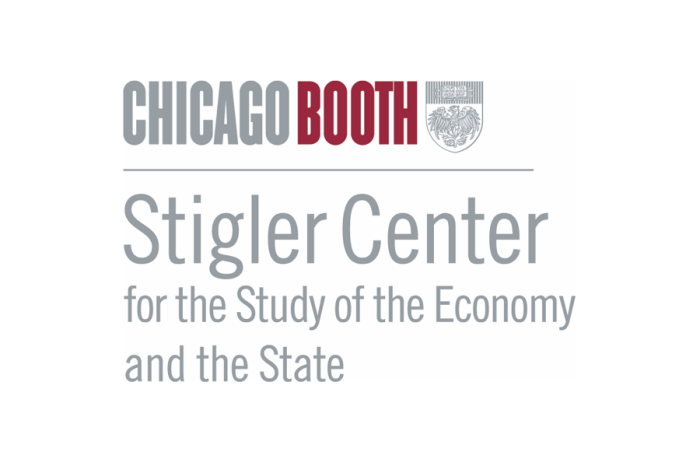 Should antitrust law focus on narrow issues (such as the ability to raise price in narrowly defined markets) that make it irrelevant to many activities that impact the citizens’ welfare in a digital environment, or should antitrust take into account the political, social, and economic risks from concentrated economic power? As one approaches these challenges, it is important to note that the potential harms from data-opolies can exceed those of earlier monopolies. They can affect not only our wallets but our privacy, autonomy, democracy, and well-being. One should therefore think hard before resorting to the familiar mantra that antitrust can often do more harm than good, as markets do a better job self-correcting. 1. ↑ Stucke and Ezrachi, “When Competition Fails to Optimise Quality: A Look at Search Engines”  18 Yale Journal of Law and Technology 70.